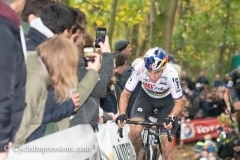 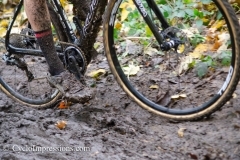 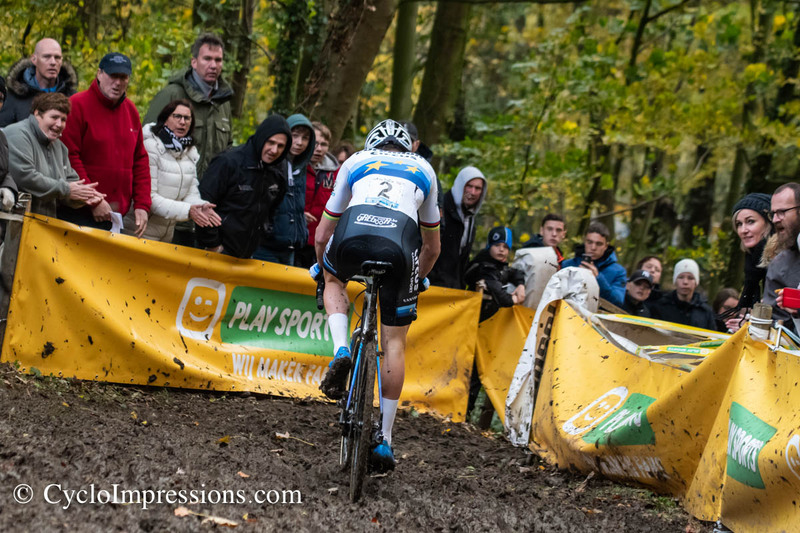 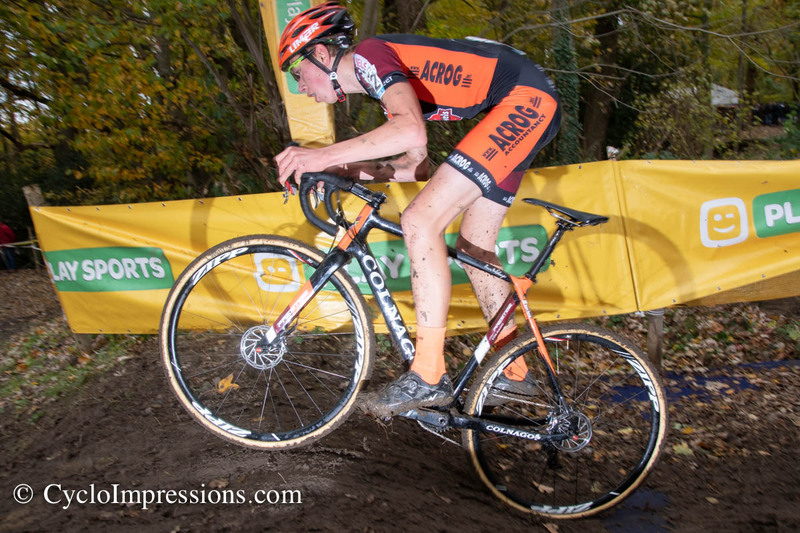 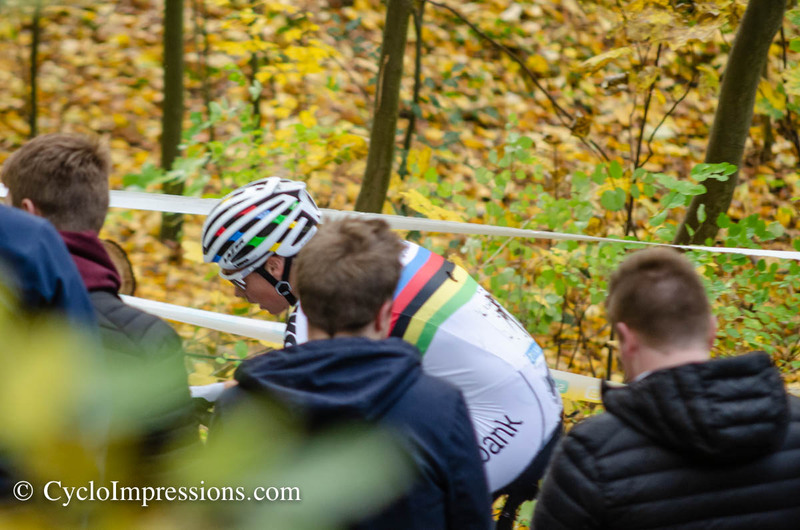 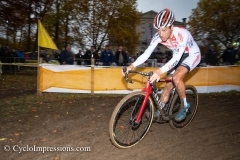 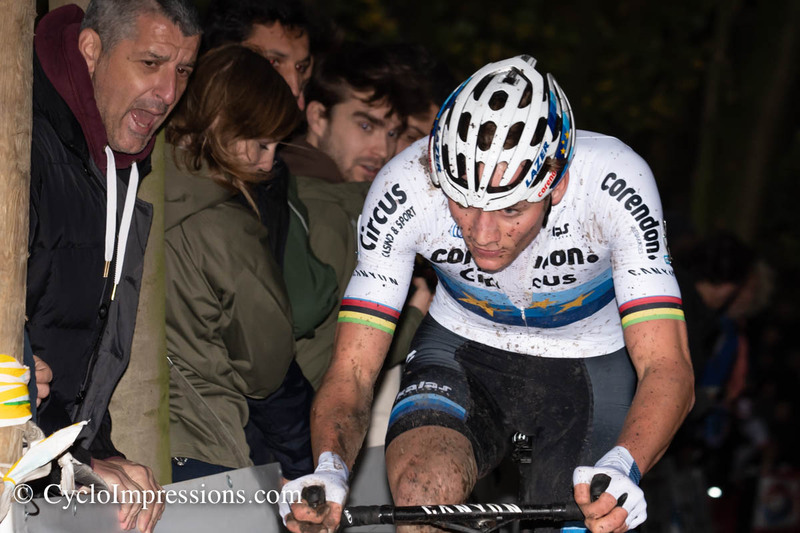 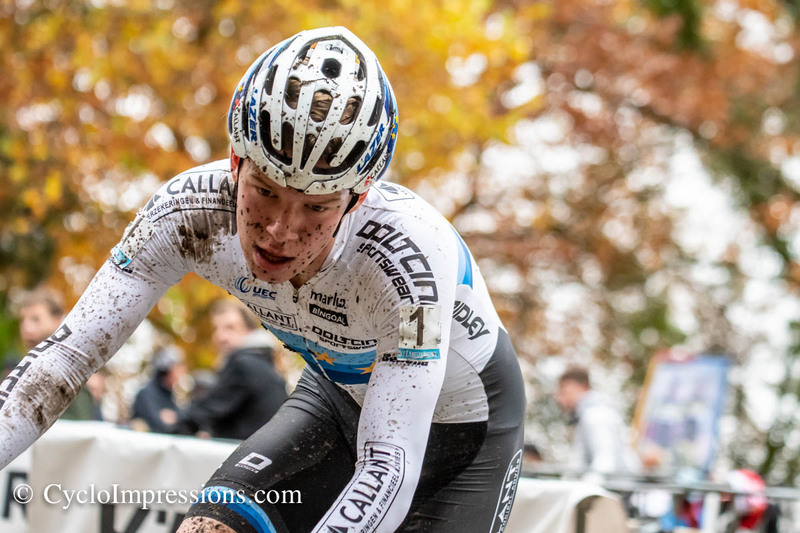 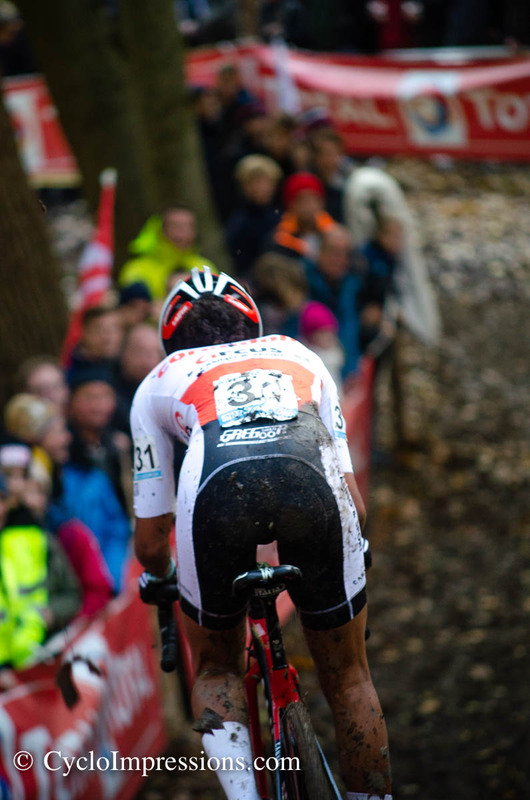 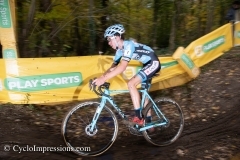 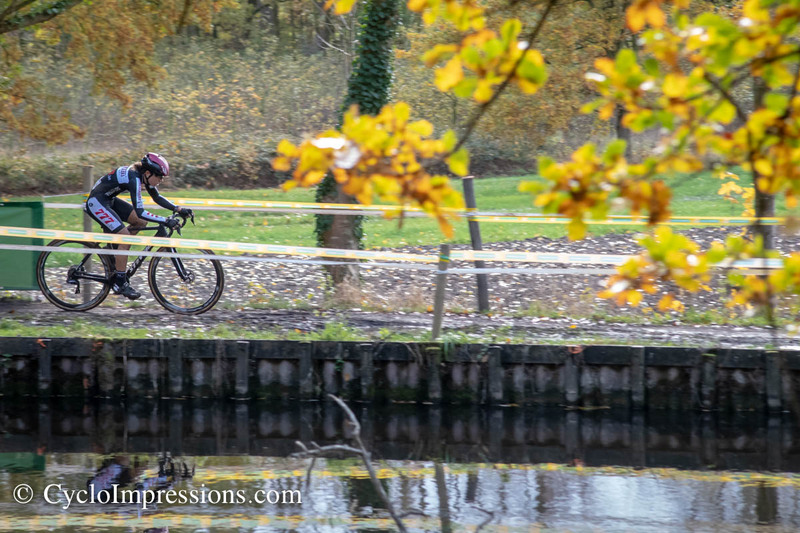 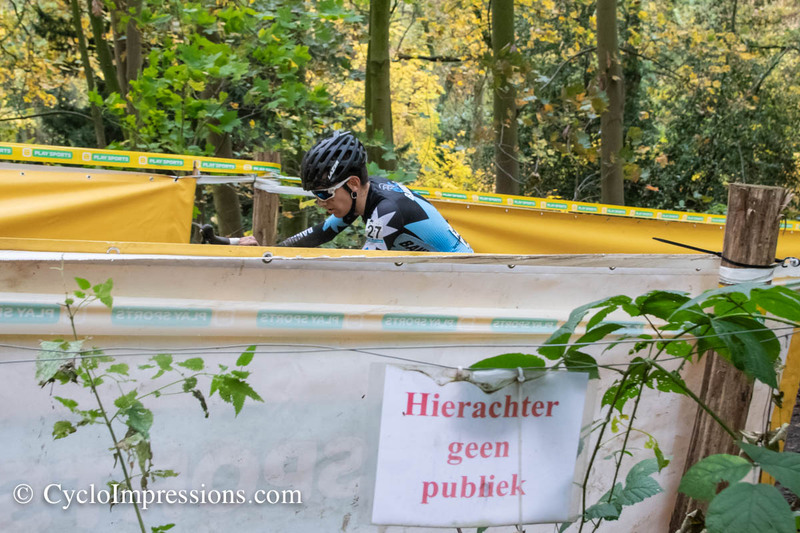 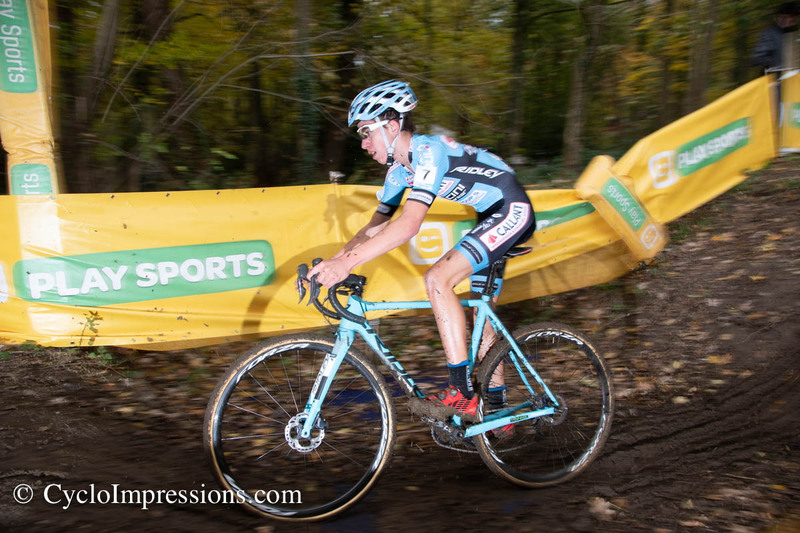 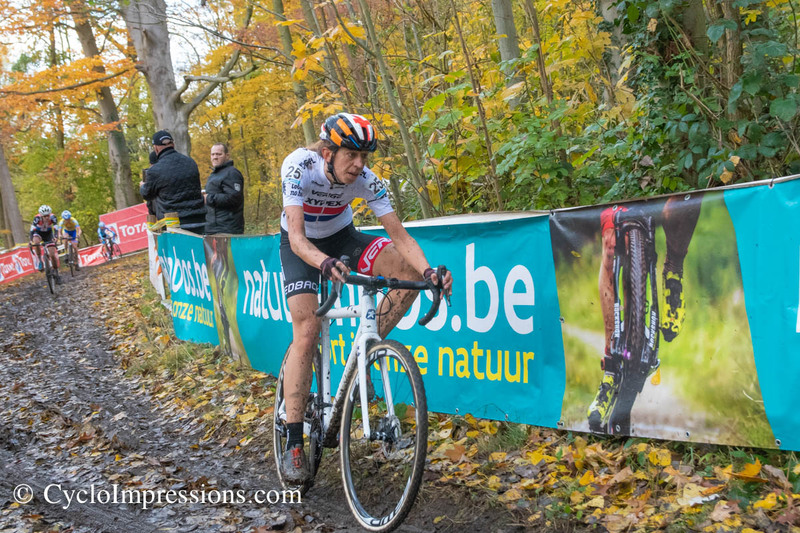 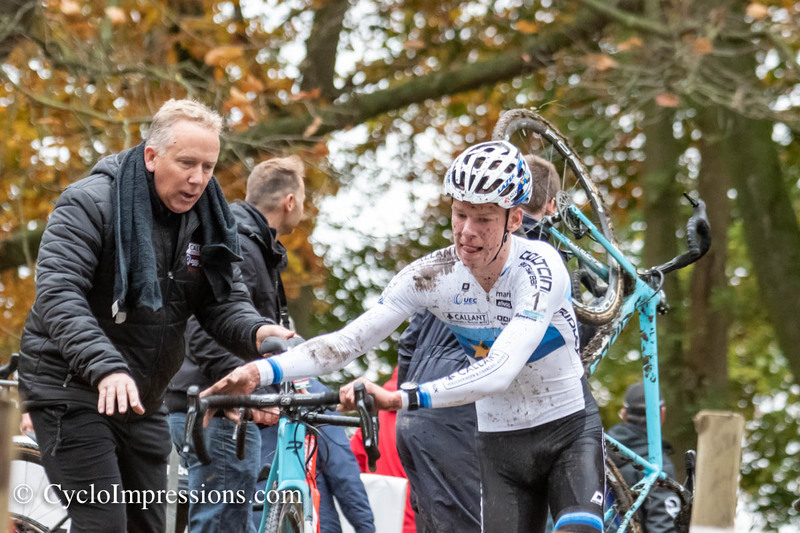 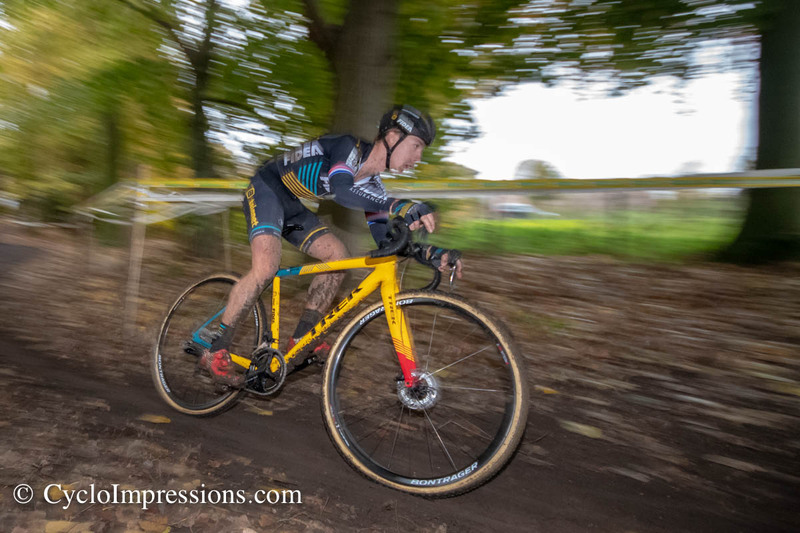 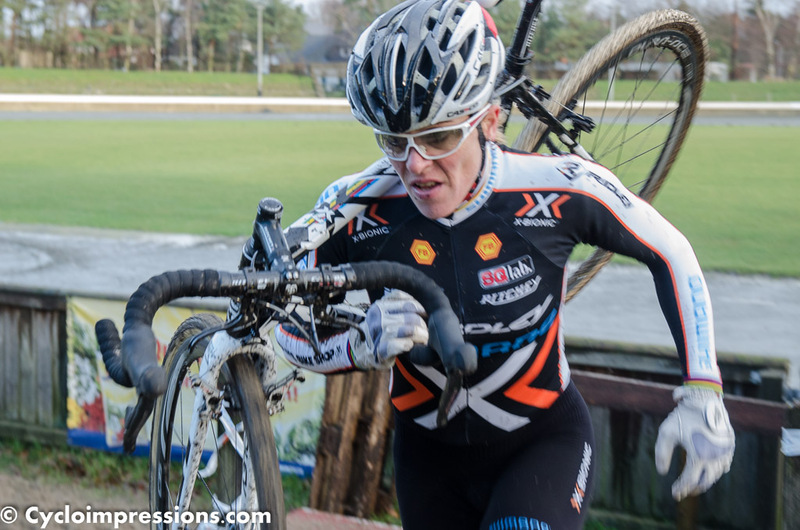 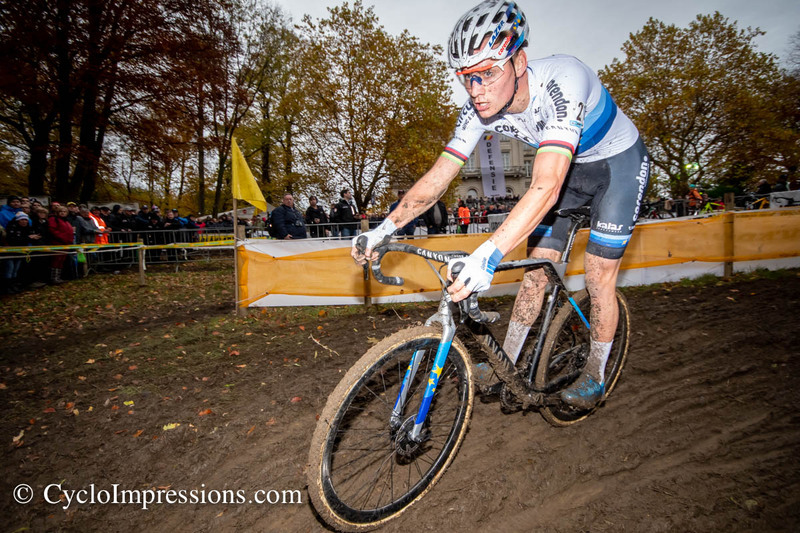 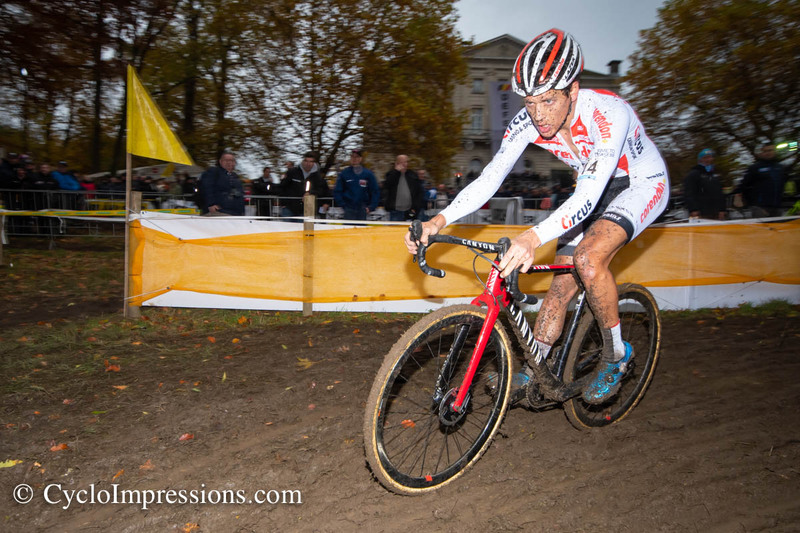 The race at Kasteel Grenier in Gavere is always a special highlight of the cyclocross season. 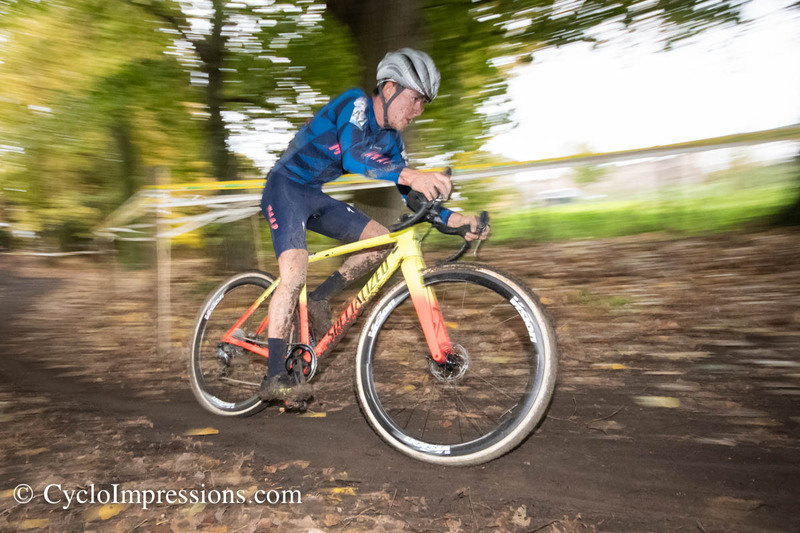 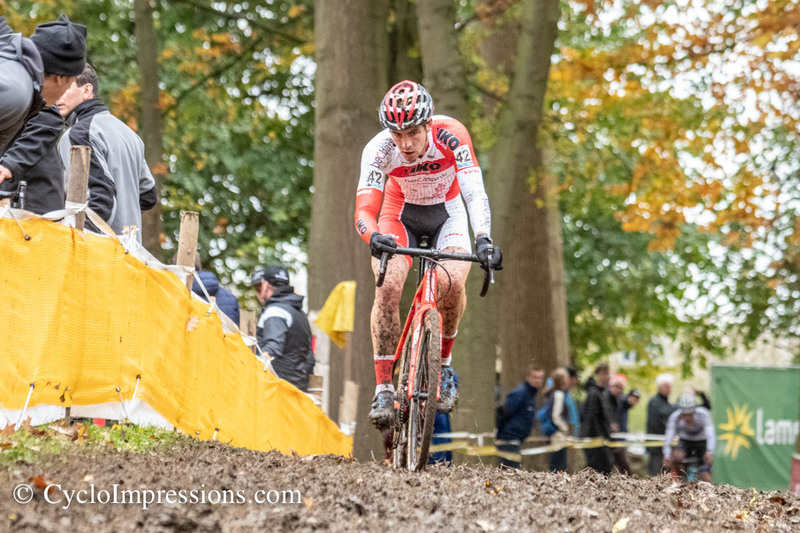 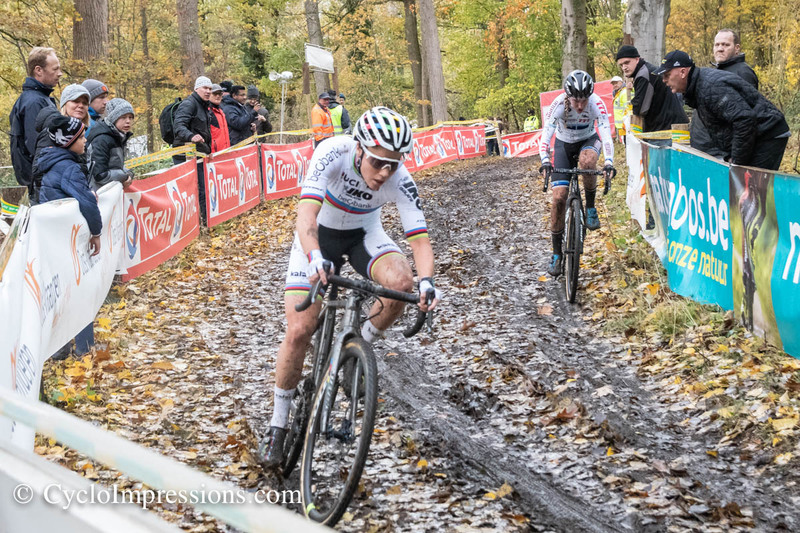 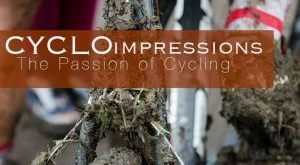 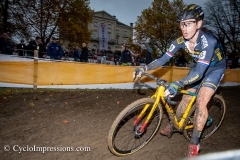 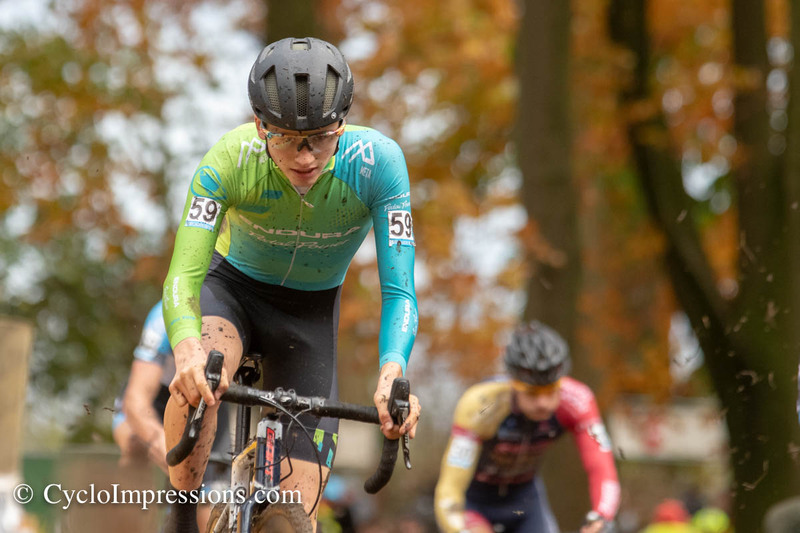 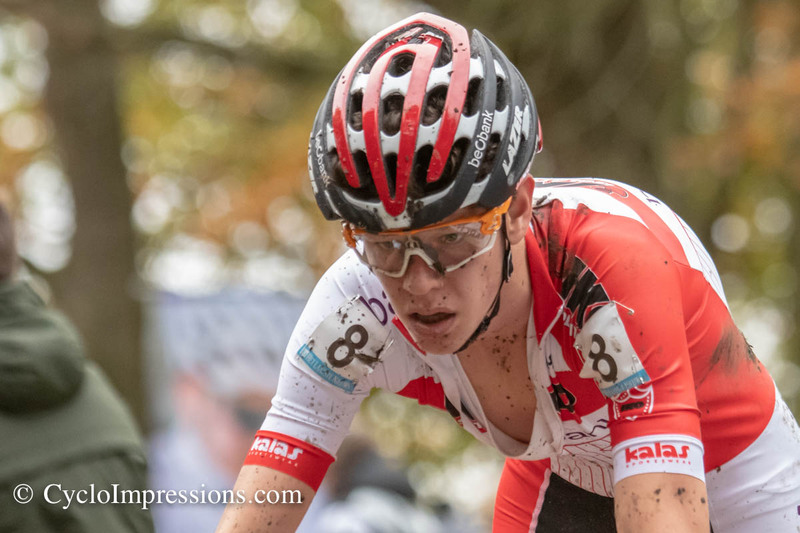 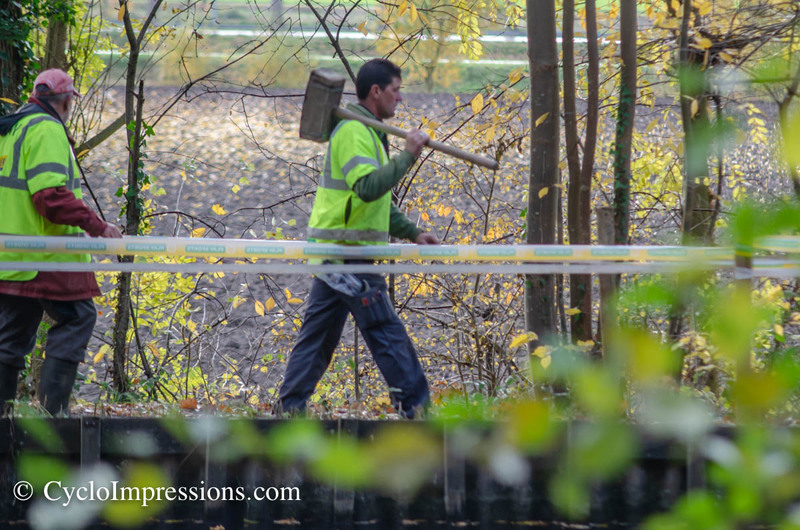 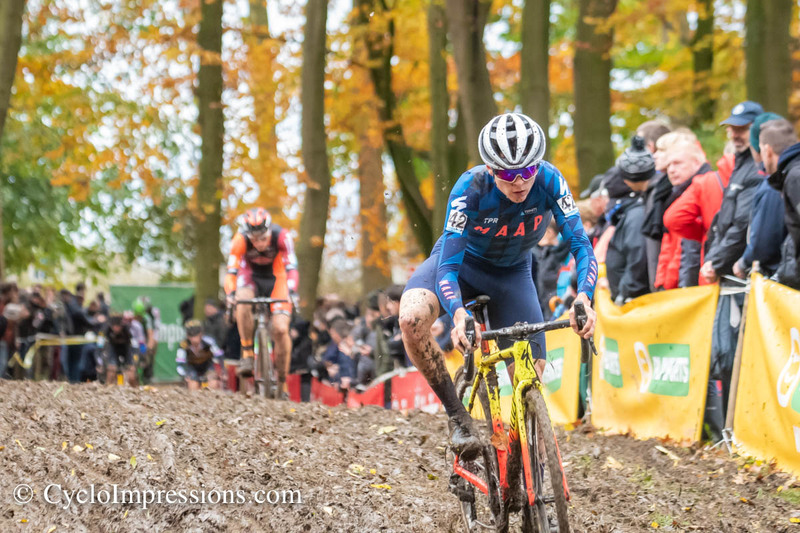 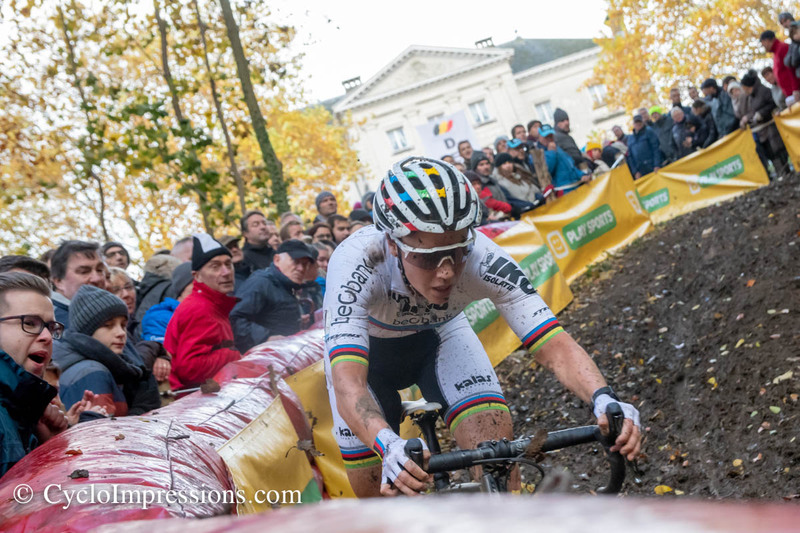 Not only is it one of the oldest races held unchanged and the nucleus of the Superprestige, the technically and conditionally demanding track always guarantees fascinating races as well. 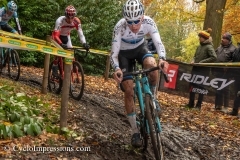 One week after successfully defending his title in Rosmalen in the Netherlands, the European Champion shows his extra class even in difficult terrain. 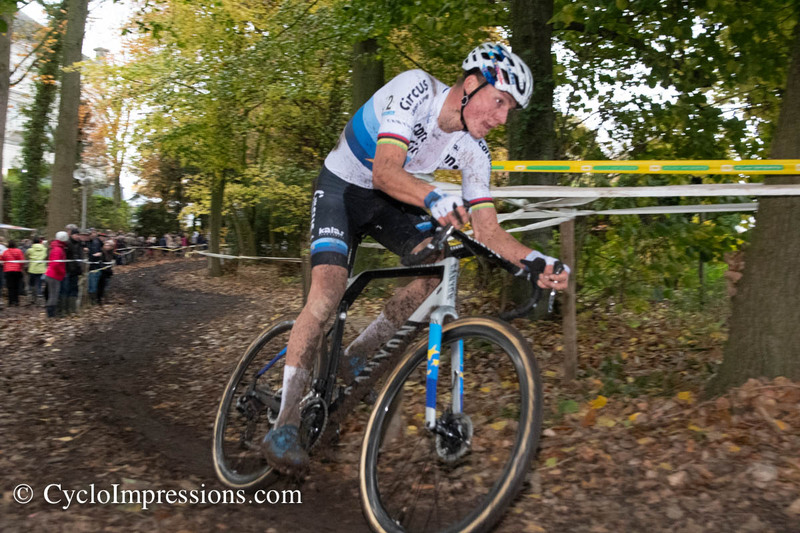 Right from the start van der Poel took the lead only Toon Aerts, who in this season has caught up to the absolute world top could follow him for 2 laps. 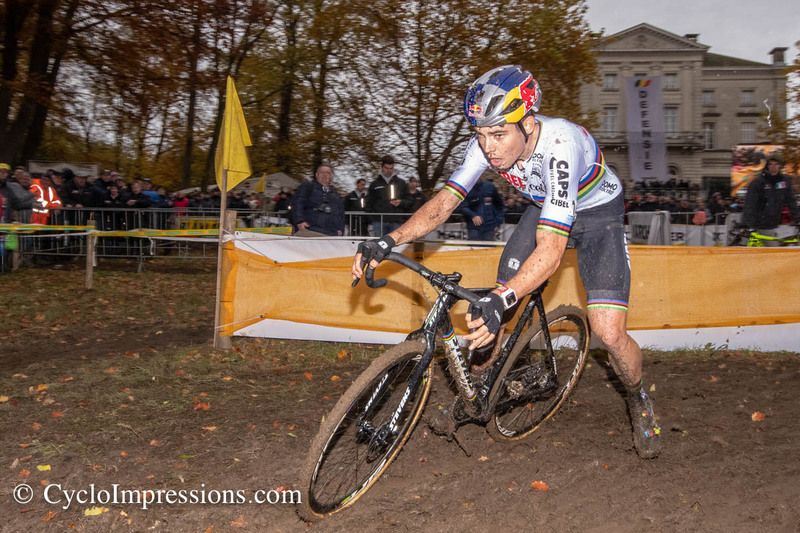 World champion Wout van Aert, who is slowly finding his way back to the old form, was not able to catch up and followed at the end of the second lap 15 seconds behind the two leaders. 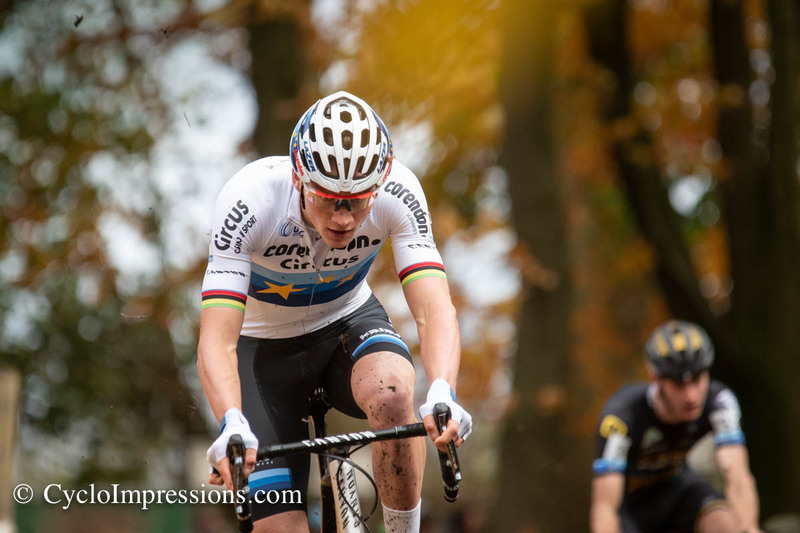 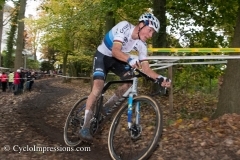 In the third lap Mathieu van der Poel decided it was time to say goodbye to Aerts and deliver another of his solo shows. 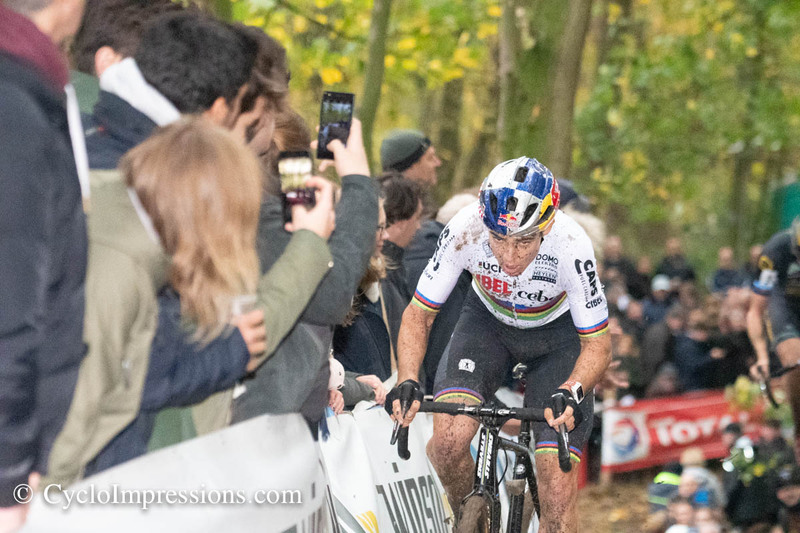 Afterwards he rode one of his best cross races of all times(as he said later that day) and secured a superior victory without making a single mistake. 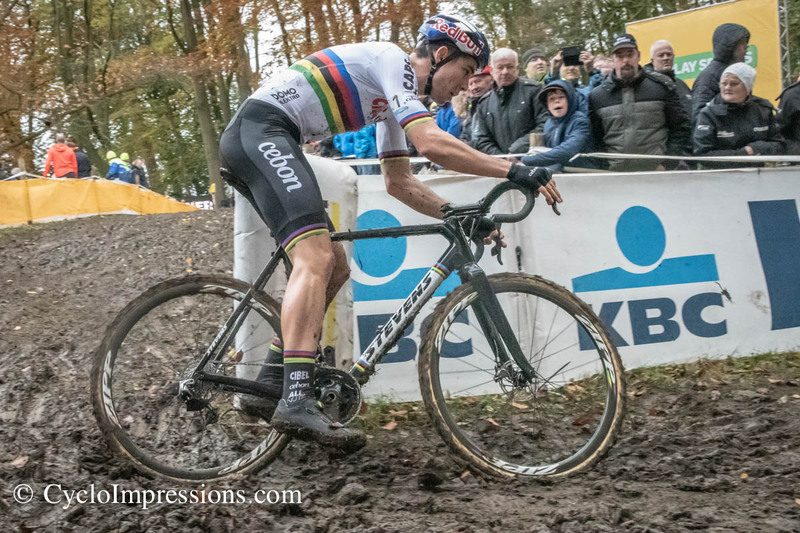 Behind the Dutchman, Wout van Aert was able to catch up with Toon Aerts and delivered an exciting duel for the two remaining podium spots. 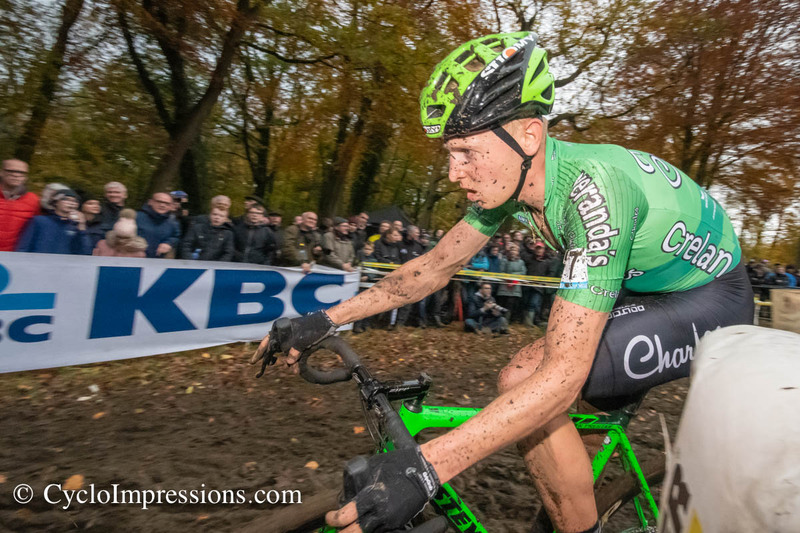 But two laps before the end a small mistake of the world champion gave Toon Aerts the chance to gain second place. 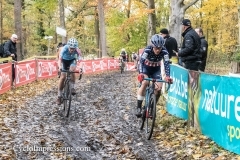 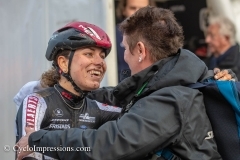 The Italian in the service of Bart Wellens and his Steylaert Betfirst 777 team was able to catch up with the leading duo of her team mate Annemarie Worst and world champion Sanne Cant in the second lap. 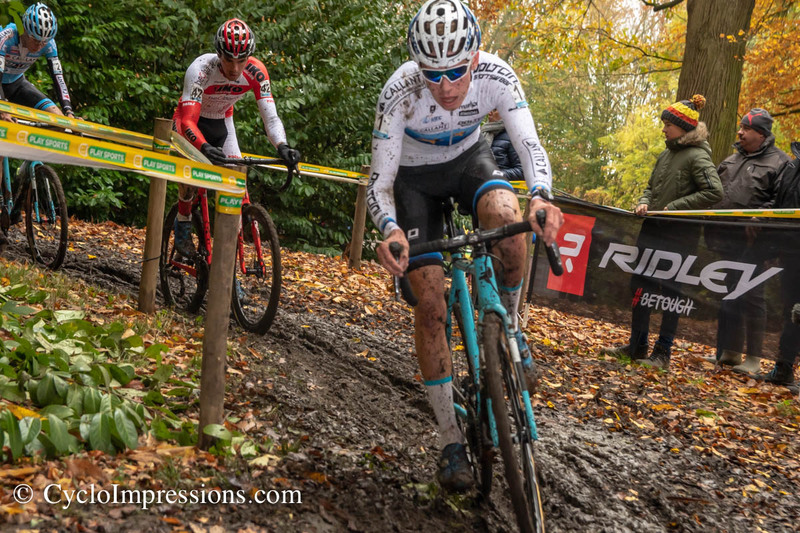 The technically difficult track and the slippery ground after the rainfalls of the previous day caused the riders to get into trouble again and again. 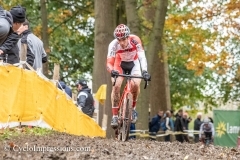 Again and again slips led to position changes. 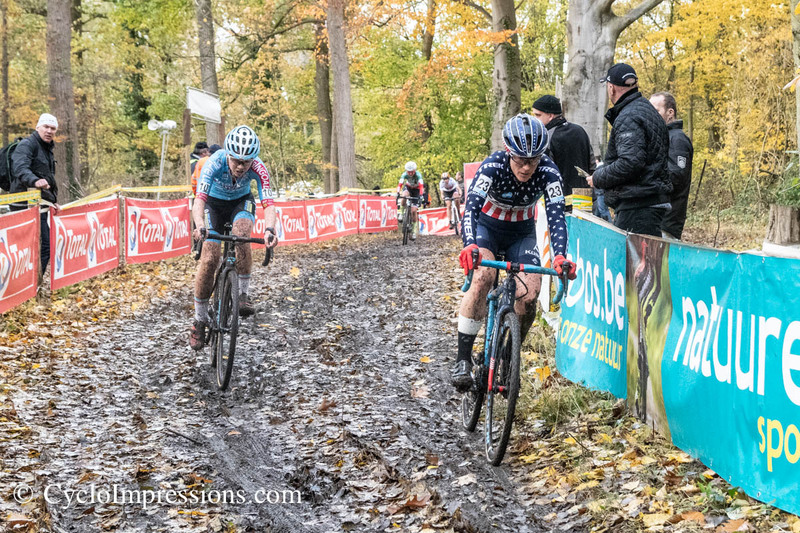 Only Arzuffi managed to stay clear and was able to extend her lead over her rivals. 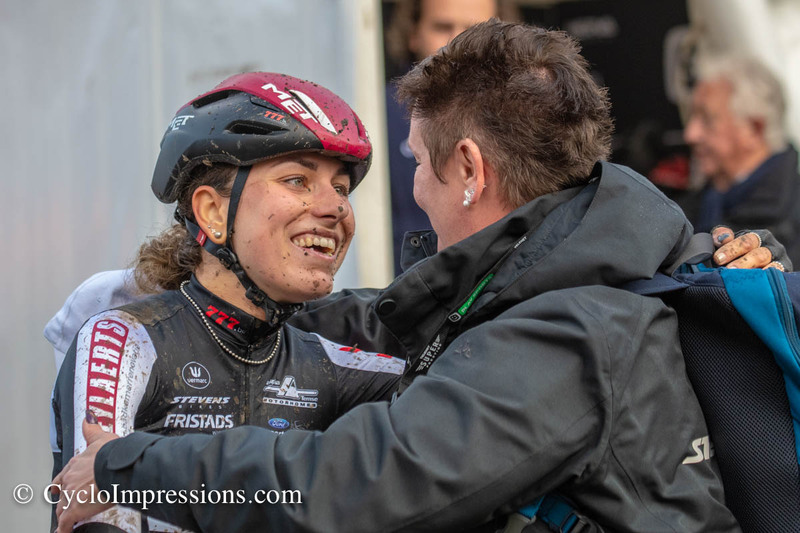 While the other riders had to fight with difficulties again and again, the Brit Nikki Brammeir worked her way slowly but steadily to the front and ended the race in second place. 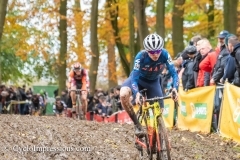 World Champion Sanne Cant, who still hasn’t found her way back to her old form after her injury in the last race of the past season, is able to close the gap to Annemarie Worst due to her strong will . 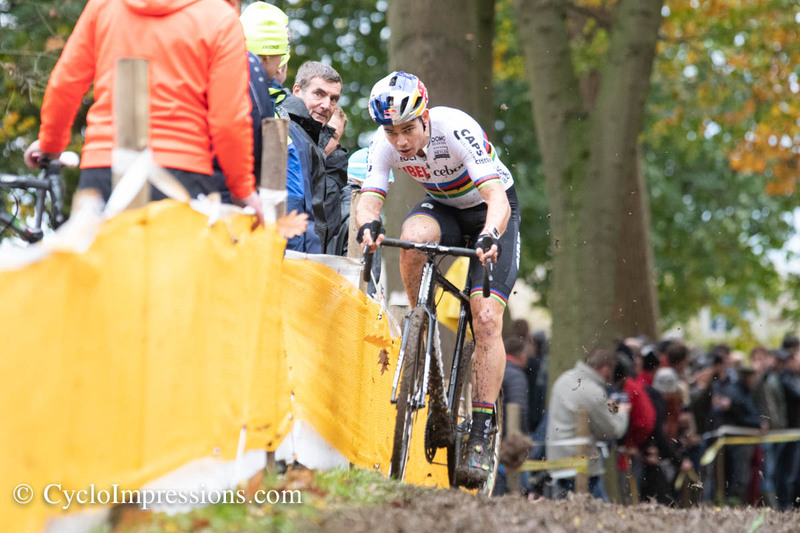 In the end is able to defeat the Dutch in the sprint for the last podium spot.